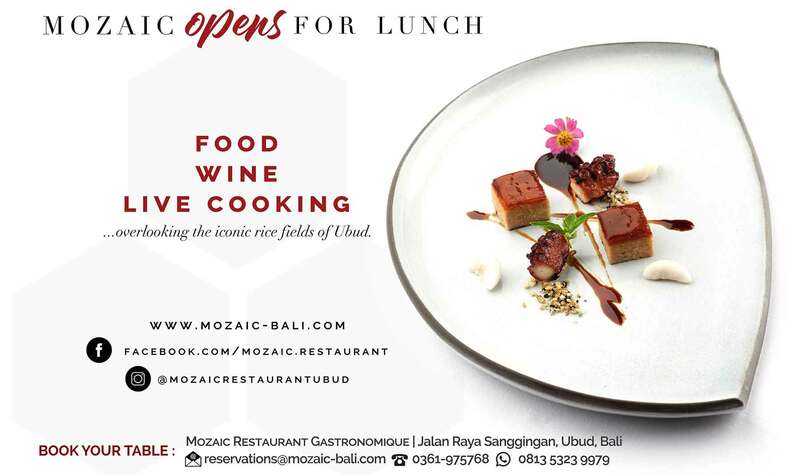 Mozaic is now open for lunch at The Workshop, offering a Chef’s Table concept where lunches are prepared live by our chef. The Workshop is a beautiful air-conditioned space at the end of Mozaic’s garden, with a stylish kitchen by Miele and a comfortable dining room. Reservations will be available from 12pm until 2pm on Thursdays through Sundays. (Lunch will not be offered on Monday, Tuesday and Wednesdays.) Guests will have the choice of a 5-course or 7-course tasting menu, with wine available by the bottle or in wine-pairing. Join us as our chef talks you through every step of the dishes you will eat. It’s fun, interactive, informative, and delicious all at the same time.